As of early 2017, 5.3% of mortgages were delinquent by 30 days or more, according to a report by HousingWire. In that same period, the serious delinquency rate – that is, loans that are 90 days or more past due, including those in foreclosure – hovered around 2.5%. All of this is to say that if you’re fearful of falling behind on your mortgage payments, you’re not alone. While falling behind on your monthly mortgage payments is serious, it is absolutely not unheard of. There are courses of action in place to help you catch up on payments and attempt to avoid foreclosure, no matter your circumstances. One of the most important steps you can take if you fear that you may fall behind on your mortgage payments is to contact your loan servicer, the representative from your mortgage lender assigned to collect your payments and credit your account. Communicating with this party may allow you to work out an option to make up past payments or delay future ones. One option, for instance, may be reinstatement. In this arrangement, you and your mortgage company work out an agreement by which you will pay the full amount of the past-due amount, as well as any fees or penalties, by a specified date, generally as one lump sum. In other cases, you and your loan servicer may be able to agree to a repayment plan. In this arrangement, you will generally be responsible for paying your regular loan amount, plus a portion of your past-due amount added on, until you catch up. These arrangements may be beneficial to homeowners who have only missed a small number of loan payments, or who are facing a temporary financial setback. Forbearance is an arrangement through which you and your loan servicer agree to temporarily reduce or suspend mortgage payments, for an agreed-upon range of time. At the end of that time window, the homeowner will then generally be required to resume making regular payments, in addition to a lump sum payment (or installments over several month), in order to get the loan current. This arrangement is generally a fit for those who are facing only a temporary disruption of income, or a short-term financial setback. Forbearance may actually extend your mortgage term, resulting in more interest. It is also a short-term way to avoid delinquency, and won’t provide a remedy if you cannot afford house payments over the long-term. In working with your mortgage lender, you may be able to come to an agreement to alter one or more of the terms of your mortgage contract, in order to help make your monthly loan payment more manageable in the long-term. In some cases, your mortgage lender may even agree to a wholesale loan refinancing. Or there are other ways to change your monthly payment, such as obtaining a new rate on property insurance. If you’ve fallen behind significantly on your mortgage payments, Chapter 13 bankruptcy may be a way to avoid foreclosure. In Chapter 13, which is also known as a “wage earner’s” or “reorganization” bankruptcy, homeowners can be granted a stay, which bars their mortgage lender from selling their home or seeking additional payments. In return, the homeowner must agree to stay current on their ongoing mortgage payments, and agree to a repayment plan with their creditors, which can span three to five years. For more information on Chapter 13, see our primer, here. For more FAQs about bankruptcy, read on, here. Certainly, this is an incomplete list. There are many, many courses of action out there, and finding one that will work for you will come down to many different personal factors, including your personal financial situation, your loan servicer’s terms and policies, and the local resources available in your area. Bottom line? 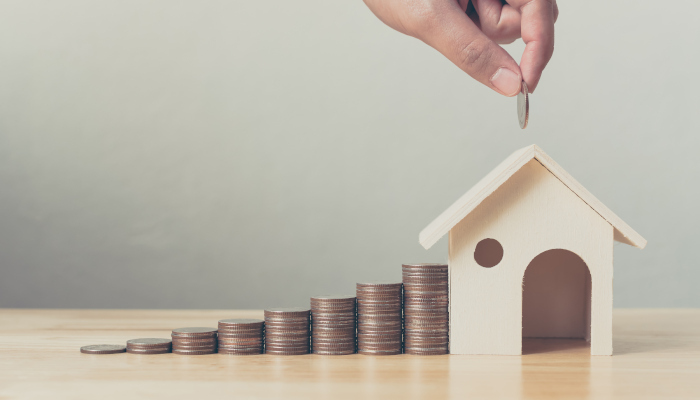 Falling behind on your mortgage payments is serious, but there are ways to take control of your situation, before you face the prospect of “last resort” events such as default, foreclosure, or a short sale. As you weigh your options, including bankruptcy, you may wish to consult with an experienced, qualified legal professional. That’s where the attorneys and staff of the Gunderson Law Firm would be happy to step in and help. At the Gunderson Law Firm, our attorneys can offer unparalleled expertise and insight in the fields of both real estate and bankruptcy law. We are committed to providing the advocacy you need, with great representation and timely results. Our attorneys are not only highly knowledgeable and experienced, but very down-to-earth, fielding our clients’ unique needs insightfully, promptly, and professionally. Don’t hesitate to drop us line today to get the conversation started.